Star Baby Booties Only $4.61 + FREE Shipping! You are here: Home / Great Deals / Amazon Deals / Star Baby Booties Only $4.61 + FREE Shipping! OK, Mommas and Mommas-to-be – these ADORABLE socks are a must-have for your babies! 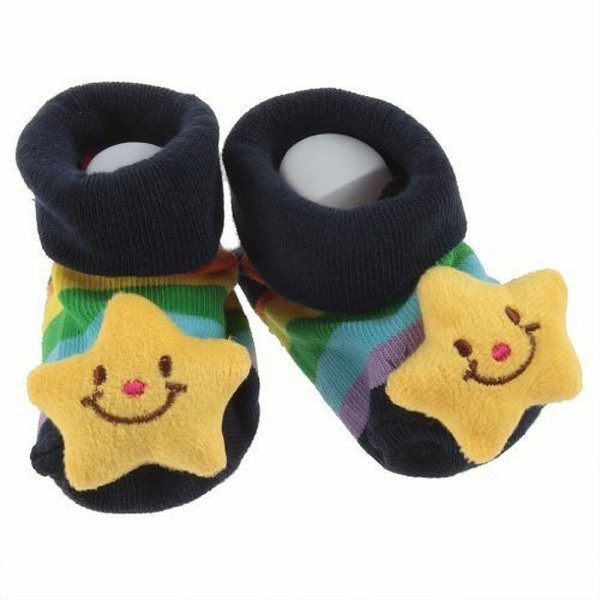 Get these Star Baby Booties for just $4.61 with FREE shipping! I think these are SO cute! I”m totally grabbing them for a friend of ours who recently had a baby! You can also get a couple of other really cute baby socks as well – these Frog Baby Booties and these Panda Baby Booties ! Both ship for FREE!